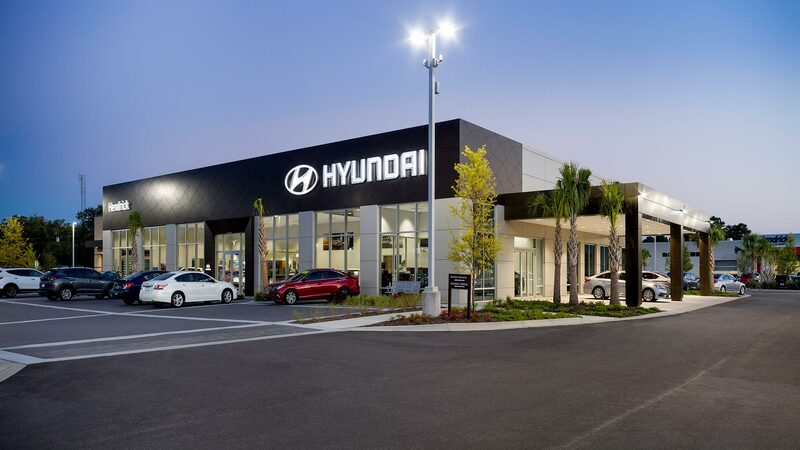 Hendrick Automotive Group (HAG) purchased an old K-Mart along with the outparcels, making room for a new 15,000 sf Hyundai Showroom and Service Reception building. This K-Mart adaptive reuse serves as the service department for several dealerships, freeing up real estate elsewhere on their “campus”. 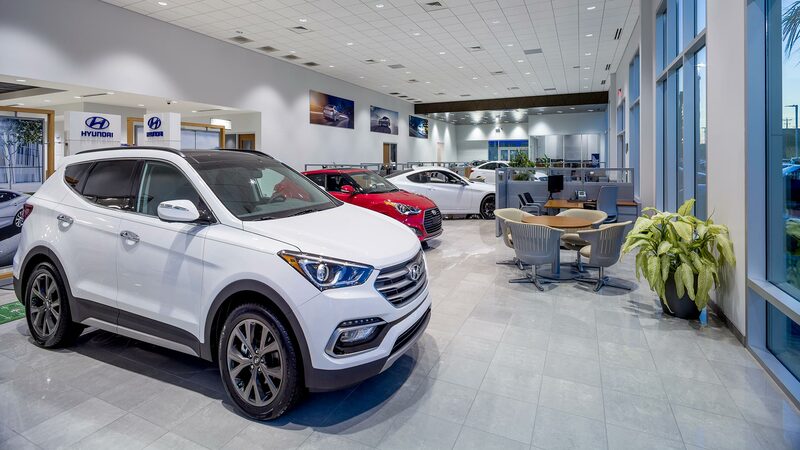 This facility is one of the nation’s first implementation of the new Hyundai Brand Identity package. Being in Charleston, which pushes a “New Urbanism” theme, Redline had to pay special attention to the site and landscaping. 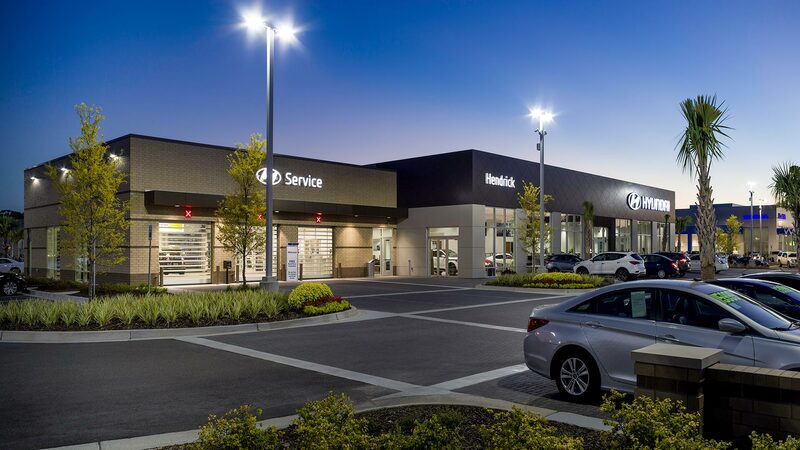 We pushed the façade closer to the road, creating a “display plaza” with interlocking pavers and native plants to accent the plaza and create a wonderful, pedestrian-friendly car shopping experience.